We all want to live our most authentic lives. We all want to be as happy as possible. We all want to have solid tools for managing life’s inevitable stress. 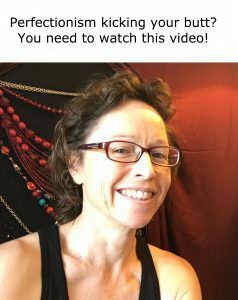 Somatic Self-Compassion™ training is birthed out of a series of understandings about the stressful world we are living in today and addresses that understanding with proven methods for helping us be our most authentic, happy, emotionally well-equipped selves. We live in a society experiencing a pandemic of stress. The Sidran Traumatic Stress Institute reports that 70% of Americans have experienced something traumatic in our lives (meaning we had an experience where our emotional coping skills could not keep up with our reality) and up to 20% of us go on to develop some kind of post-traumatic stress problem that affects our ability to function (like PTSD) . Look around, dear ones – that means in a group of you and 6 of your friends, one of you probably has PTSD – and that’s serious. In order to heal stress we need to address ourselves at the level of body experience. Dr. Bessel van der Kolk, author of the seminal book, The Body Keeps the Score: Brain, Mind, and Body in the Healing of Trauma, after the events of 9/11, introduced to the mainstream that talk therapy alone is not enough to address stress-related problems. He writes, “You can be fully in charge of your life only if you can acknowledge the reality of your body, in all its visceral dimensions.” We need to address the level of body experience as well as mental experience in order to heal. In order to stress-proof our system for the future, we need to stay in touch with our bodies. Research shows that we are more prone to stress when we are not aware of our bodies. Those of us with lower levels of emotional resiliency also have lower levels of body awareness (interoception). If we can’t obtain information about what’s not working for our body (in times of stress), we can’t then identify what would work for our body (what our body needs) and we are less able to adapt to difficult situations because we don’t have the information we need to act. Most of us need to re-learn how to get in touch with our body. The experience of Strozzi Institute instructors who teach the Embodied Leadership curriculum is that around 80% of people need to be reintroduced to their body as a source of information. One of our survival mechanisms, according to Dr van der Kolk, is to dissociate from our bodies as a way to manage stress. Given the many stressors we experience every day, many of us have forgotten how to tune in to our bodies (for good reason). We need to learn to safely re-acquaint ourselves with our body. We need to re-acquaint ourselves with our body safely. Many modalities of healing work have emerged historically to help us get back in touch with our body safely. The soft animal of our body needs to be treated with wisdom and compassion, especially when it is learning to recover from stress. Maintaining self-compassionate body practices moves us through the rest of our life with grace and courage. Maintenance is the key to a successful practice: Learning about our core values and continually reaffirming our soul’s purpose helps us to stick to a regimen of self-care because we see our practice in the context of our life goals. Ongoing community support and developing beautiful daily rituals for ourselves shepherd us through our lives with support and a sense of meaningful connection. Ongoing practice builds and maintains our emotional resilience muscle. One-by-one we change the cultural paradigm of stress, and as we do that we give others the permission to do the same! Stress is not a status symbol! radical response: re-parenting ourselves through self-soothing, self-inquiry, permission-giving and catalyzing new behavior in response to stress. the “soft animal”** that offers us exquisite pleasure, deep spiritual connection and a source of authentic joy. Please note this training is not group therapy, but does train in skills useful for tending to yourself and your stress on a day-to-day basis. If you have unresolved trauma (you feel that you do not yet have skills to regulate your emotions around previous trauma), the invitation is to reach out to a therapist, teacher, healer or shaman who specializes in trauma recovery work, to help you on your journey. Please see the “Trauma Recovery” information on the right side of this page for resources to help you. For more information, please contact kristy@heartworks.training. Connecting in community is crucial to sustaining a self-compassion practice. We are social beings with many demands on our lives. Being included in community helps us to show up for ourselves. Our body is the font of emotional wisdom, our inner compass, the gatekeeper that grants permission and sets boundaries, and our nurturing arms. Our body is the soft animal who offers us exquisite pleasure, deep spiritual connection and a source of authentic joy. Holding emergent space allows for organic, responsive, co-created offerings. Structure and emergence are balanced to respond to the needs of the community. Contemporary advances in psychology and somatics inform our ever-evolving work. Training is accessible to all, regardless of finances. Strozzi Institute’s Embodied Leadership theory.